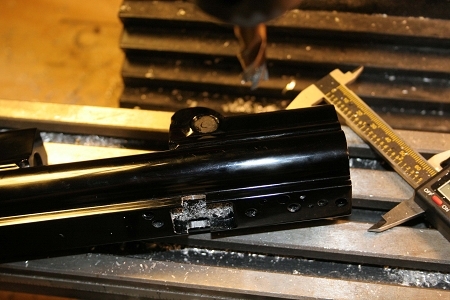 This upgrade is the best service we've ever offered for Angel Paintball Guns. In a nutshell, we take a classic Angel gun, and bring it forward to the modern age. 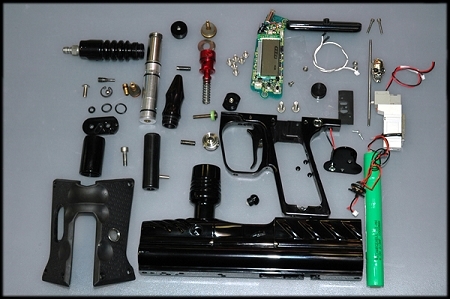 We do this by removing the old board and battery, milling the gun for Predator Ultra-Violet Laser Eyes and a second detent, rebuild all the internal components (doing our "Make it Live" service), deep clean, and reassemble the gun with the latest Predator 4.0 Board (which runs on a standard 9-Volt battery), and a CP ASA & Regulator to upgrade the air passages. New board- Capitalizing on the build quality and speed of the Angel gun, while updating it with today’s latest technology. This upgrade will replace your circuit board with the brand new Predator 4.0 Angel board. On that board will be the 10.2 software, which includes 15 firing modes (Semi-auto, Full auto, several ramping modes, OMFG Mode, Sniper Mode etc. ), 17 adjustable parameters (including standard features like Rate of Fire and dwell, as well as Predator exclusives like Return Fire activation, Paint-saving Adaptive Firing, etc.) 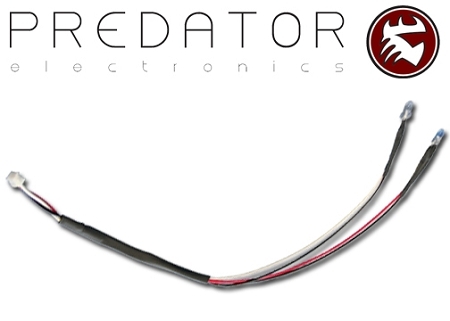 And perhaps the most significant feature of the Predator Ultra Upgrade is the Predator Anti-Chop eyes. The eyes prevent the gun from "Chopping" paintballs during the extremely fast rates of fire that the Predator board is capable of. Let it Breath- The air system in your Angel is like the lungs and respiratory system. Choke off the air flow and the gun will fail to perform at it's best, especially at high rates of fire. For this reason, we replace the stock ASA(Air source adaptor) and high pressure regulator with CP brand components. 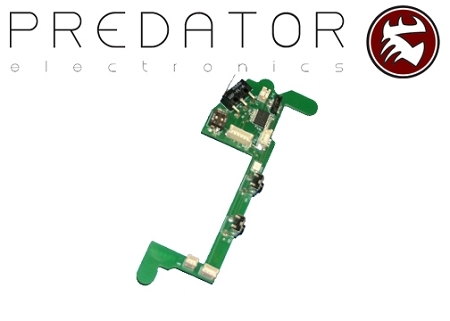 From our experience and testing, these CP parts outperform all competitors, and are a perfect compliment to the Predator board. 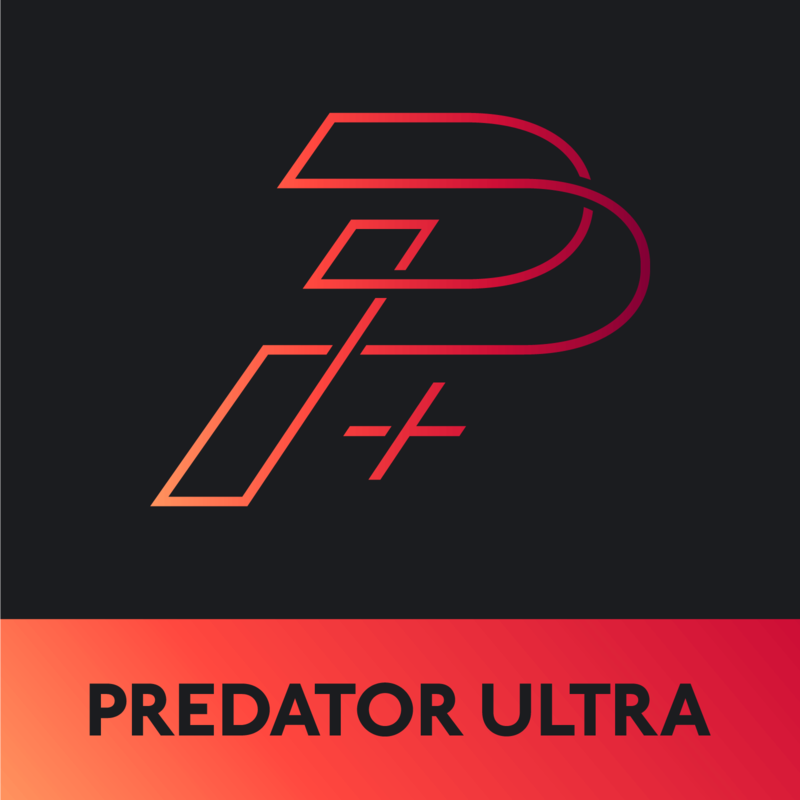 The increased consistency achieved from this upgrade is what sets this service package above our "Predator Pro" package. In our experience, these older Angels were built to handle far more than the technology of the time could really put out. With a little updating, and fine-tuning, your Angel will be shooting amongst the very best. 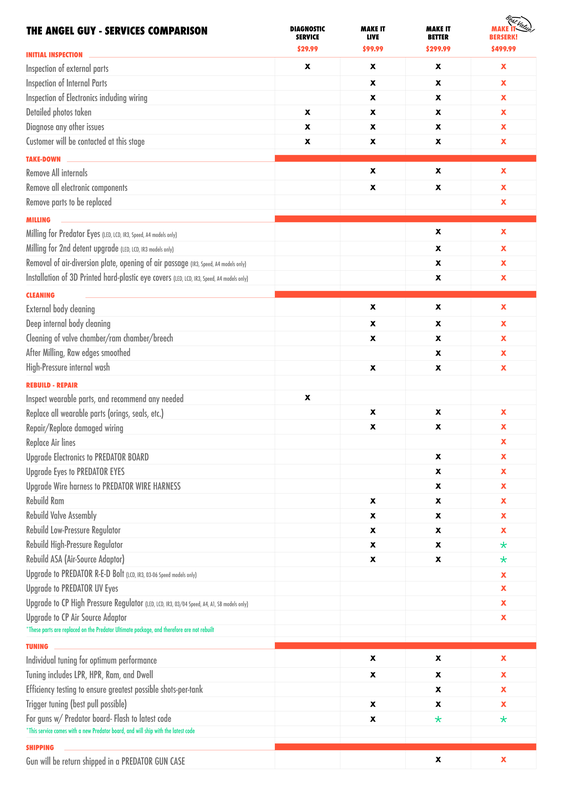 The basic cost of the Predator Ultra Upgrade is $499.95 including all parts and labor. There are options to choose which may change this price slightly.